Three agency managers tasked with implementing President Trump’s push toward deregulation told Congress on Tuesday that White House executive orders have injected fresh motivation in their workforces. The mandated reviews of past rules to identify burdensome or outdated ones, they added, are driven largely by career subject-matter experts. With regulatory reform efforts, the Defense Department “is committed to more faithfully adhering to the regulatory principles that federal agencies should promulgate only those regulations that are required or necessary and that do not unduly burden the American people," Joo Chung, director of the Oversight and Compliance Directorate in the Defense Department’s Office of the Deputy Chief Management Officer, told a joint hearing of two House Oversight and Government Reform subcommittees. “Going back to review regulations has resonated with the workforce,” which finds the Pentagon’s efforts to consolidate many rules under one regulation “very satisfying,” Chung said. Democrats on the panel expressed worries that ideologues and industry lobbyists were driving Trump’s effort to cut red tape, at the expense of health and safety. But all three agency witnesses stressed that career staff schooled in cost-benefit analysis are performing the lion’s share of the rule reviews. 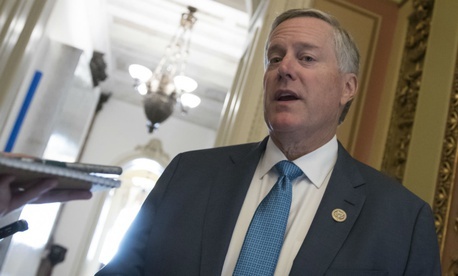 The hearing was called by Rep. Mark Meadows, R-N.C., to highlight what he considers good news about federal regulations. He asserted that in just five months since beginning implementation of President Trump’s January Executive Order 13771, the administration’s “kick in the pants” approach has saved $22 million. But Rep. Raja Krishnamoorthi, D-Ill., said the bid to improve efficiencies and cut unnecessary regulations “shouldn’t be done with any partisan preconceptions, but with a dispassionate and rational mindset.” He said he was “troubled by recent administrative actions to undermine the health protections and coverage that millions of Americans have come to depend on,” citing the Health and Human Services Department’s curbs on Obamacare and the Education Department’s recent alterations of guidance documents on school handling of students with disabilities. Those changes were advanced without public comment from advocacy groups. Rep. Robin Kelly, D- Ill., said the Trump effort was being completed “under the guise of cost savings but done without consideration of impact on all Americans.” The administration has “declined to provide names of [advisory] task forces filled with industry lobbyists and acting on behalf of special interests,” she said. The committee should hear an “overall strategy” from Budget Director Mick Mulvaney and regulatory chief Neomi Rao, she added. Owens touted savings of $21.9 million in annualized costs during the first months of the Trump administration’s Transportation Department, compared with annualized costs of $3.2 billion in fiscal 2016 under Obama, he said. More savings are projected, he added, as new rules trending toward deregulation climb from 12 percent under Obama to nearly half under Trump. Giancarlo Brizzi, principal deputy associate administrator in the General Services Administration’s Office of Governmentwide Policy, said employees at GSA see regulatory reform “as an opportunity for review and reform of all day-to-day activities,” including seeking ways to make it easier for vendors to do business with the agency. GSA’s solicitation of other agencies’ suggestions on improving regulations is a “first,” he added. Chung said the Defense working group’s review of 716 codified regulations, including 350 in the Defense Federal Acquisition Regulation, has already earmarked 88 rules for repeal, pending review from the Office of Management and Budget, and savings of $10 million. Under questioning, all three agency representatives described their agency’s regulatory reform task forces as made up of both political appointees and career officials, all stressing transparency, innovation, and opportunities for employee and public suggestions. “Much of it is being driven by long-term career people,” summarized Rep. Paul Mitchell, R-Mich.